The Sheffield City Region (SCR) has published its vision for growing high-value jobs and prosperity by radically improving transport and connectivity - including a fully integrated mass transit system. The Transport Prospectus sets out how the city region intends to work with Transport for the North (TfN) - which brings together representatives from across the North, Government, national delivery agencies and local partners to deliver the transport improvements that will allow the region to achieve its economic ambition. It comes after TfN publishes the evidence on which its own Strategic Transport Plan will be based. The South Yorkshire Passenger Transport Executive (SYPTE) handed over responsibility for the co-ordination, development and delivery of transport strategy and policy functions to the SCR Combined Authority. A more detailed Transport Strategy is being refreshed but the prospectus sets out three geographical priorities – national, Pan-Northern, and the Sheffield city region. 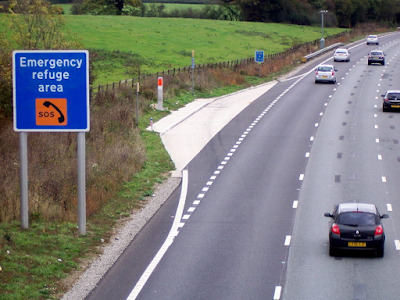 National schemes are motorways or national rail developed by bodies such as Highways England and Network Rail; Pan-Northern those to be developed by TfN; and regional or local schemes which will be developed by local promoters in co-operation with the SCR. National schemes include HS2, where the SCR supports the route of maximum economic benefit and has set out a number of "asks" so that the region can harness the opportunities that high speed rail would bring. This includes a northern loop out of Sheffield and a Parkway station. Calls are also made for infrastructure upgrades and electrification, station enhancements, and links to the region's airport. It also asks for building to start from the North and for HS2 to ensure that disruption to homes and communities is minimised. An HS2 Growth Strategy is in development which will look at an integrated connectivity package so that the essential connections to key growth and economic areas, and wider region, are in place. The prospectus also sets out strong support for the upgrade and electrification of the Midland Mainline (MML) to Sheffield by 2023. The Government is yet to commit to the full proposals. On the roads, the SCR is actively promoting the M1 Junction 33-34 Innovation Corridor scheme through the Government's Large Local Major Schemes Fund. £1.4m was secured to work up plans that aim to reduce pressure on the M1 by exploring options to provide alternatives for local traffic, and potentially provide additional routes between Sheffield and Rotherham without the need for drivers to pass through existing motorway junctions. Pan-Northern schemes include a desire for integrating HS2 with plans to bring high speed rail between Northern cities (NPR). New lines and use of the HS2 network will be required to reduce journey times and the SCR wants to see a Southern Pennines Corridor connection from Sheffield to Manchester and beyond, and a north-south East Coast Corridor connection between Sheffield, Leeds and beyond. The desire has always been for 30 minute journeys between Manchester, Sheffield and Leeds. The prospectus also pledges support for much-needed road and rail improvements on the trans-Pennine routes. City region schemes introduce the idea of a potential integrated mass transit network - upgrading, extending and creating new routes. It will build on work connected to HS2 and follows the innovative tram-train trial between Sheffield and Rotherham. The prospectus states: "We want a mass transit network, supported by smart, integrated ticketing and innovative urban mobility solutions that provides the high quality mass transit options necessary to link our urban centres and growth areas with their markets and labour force. The refreshed Transport Strategy will set out in more detail this integrated connectivity solution, building on the work of the HS2 Growth Strategy." Potential new stations could be created at the Advanced Manufacturing Park (AMP) and at a new site in Rotherham for a parkway station. A new station on the main line is the only efficient way to improve rail access in Rotherham and sites in the borough were also shortlisted for a potential parkway station on the HS2 route. Following on from the Integrated Infrastructure Plan (IIP), the Local Enterprise Partnership (LEP) is showing how transport will be an important part of realising its Growth Plan, which set an ambitious target of creating 70,000 new jobs in the SCR by 2023. The prospectus shows that investment in local transport scheme will be aligned to jobs growth, focusing on growth areas such as the Doncaster Sheffield Airport and the AMP and wider Advanced Manufacturing Innovation District (AMID). 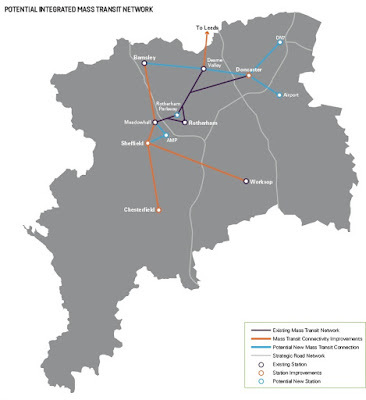 Sir Nigel Knowles, chair of the SCR Local Enterprise Partnership said: "We need an effective, integrated and sustainable transport network that offers excellent connectivity. Moving people around the city region from major transport hubs quickly, and as efficiently as possible, is critical to our future economic success. Which is why proposals for a fully integrated mass transit system for the region are included in the prospectus." Knowles pledged to deliver a network that will improve the region's connections to other parts of the UK and globally, opening up new markets for business and wider job opportunities for workers. He said: "In this way we will drive increased productivity, up-skill our workforce, and create higher wage jobs. As a driving force at the heart of the Northern Powerhouse economic agenda, we have seized the opportunity to transform our economic fortune. "Our ambition is to become a catalyst for change across the region attracting global innovation and partnerships with world leaders in technology."